There is a lot of confusion out there about which homes are ideal for ductless air conditioning. You may believe that you can only put these units into new construction. While mini-split ductless air conditioning units are great for well-insulated, newly built homes, they can also be used in existing houses. These units are easy to install and require very little space, making them an excellent choice for homeowners who wish to upgrade or add a brand new cooling system without installing duct work. This is great for homeowners who have built a room addition that does not have duct work or whose home does not have centralized air at all. If you own an especially old home or you live in specific parts of the country, there may be no centralized cooling in the house at all. Retrofitting your house with a whole-home air conditioning system can be difficult in older homes and can also be costly. If you want more control over the climate in individual rooms in your home, smaller units can help. You can make your home — no matter when it was built — a more comfortable place to live with a mini-split air conditioning unit. If you are looking at a ductless air conditioning system, you might have heard they provide uneven cooling in your room or home. This may be true for window units, but it is not so for mini-split ductless air conditioning units. They may work differently than a traditional system but they still distribute air evenly throughout your home. When you install a window air conditioning you may notice a large discrepancy between the temperature near the unit and several feet away. This is not the case with a ductless system. You should be able to enjoy the same level of comfort throughout your home when you opt to install one of these units. Another example of ductless air conditioner myths is the belief that these types of units are bad for the air quality inside your home. Many people believe that ductless air conditioning units collect and circulate bacteria or spread dust into your room or home. This myth is particularly harmful because these units actually contain filters and other self-cleaning functions to purify the air. The filters collect and trap dust, dirt, spores and anything carrying bacteria and other contaminants. Some mini-split air conditioning units even clean the air better than traditional ducted systems or window units. With a traditional system, cleaning contaminants out of the duct work can be complicated and expensive. You can easily clean your mini-split unit’s filter with soap and water. There is a myth that the absence of duct work in a mini-split unit eliminates energy loss. 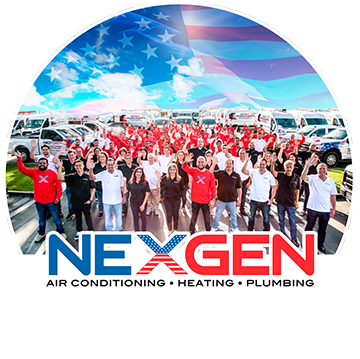 When you consider installing a ductless air conditioning unit, you should know that while there are no duct losses, other types of energy loss may occur. However, these losses are usually significantly less than the duct losses in a traditional system. This makes mini-split units an energy efficient alternative to installing or upgrading a whole-home cooling system. If your older unit is broken or inefficient, or if your home has no air conditioning at all, it can be cost effective to install a mini-split air conditioning unit instead of a traditional system. The smaller, newer unit will usually be more efficient than ones that are older or original to the home. This can equal monthly savings on your energy bills. One of the more prevalent ductless air conditioner myths is that installing mini-split ductless air conditioning units is cheaper overall than updating or installing a traditional whole-home air conditioning system. While this may be true if you live in a smaller home or only wish to add air conditioning to a room addition or a modified part of the home that has no duct work, if you have a larger home, you may not be saving as much as you think, if any at all. If your home 2,000 square feet, you may find that it costs more to install multiple mini-split units than it would to replace your ducted air conditioning system. Before you decided on the air conditioning system for you, you must assess the needs of your home in particular. No matter if you choose to replace your traditional heating and cooling system or you decide to install mini-split air conditioning units throughout your home, it is important to be well-informed first. Doing your research and asking questions will make you more comfortable with whatever purchase you make.